The Dan Skelton-trained Three Musketeers (5g Flemensfirth-Friendly Craic, by Mister Lord), a G2-winning hurdler, looked to be an even better performer over fences when winning the G2 Fuller’s London Pride Novices’ Chase at Newbury on Friday. The Flemensfirth gelding saw off a a high-quality field to score by four and a half lengths under the trainer’s son Harry. Past winners of the 2m 4f race include subsequent Cheltenham Gold Cup winners Coneygree, Bobs Worth and Denman and Three Musketeers, who was bred by Bruce Mactaggart, now looks set to contest some of the best novice chases. "He was super impressive with his jumping and that is definitely his trip at the moment. He's always been a high-class horse, but it's easy to get carried away with one like him,” said Dan Skelton. "I don't want to run him an awful lot, but when I do I want it to be against good horses. When you believe in these horses, it’s great when you see them get their chance and do it. "He'll probably go for the Dipper Novices’ Chase (at Cheltenham) on New Year's Day, then probably the Scilly Isles at Sandown and then the Cheltenham Festival. 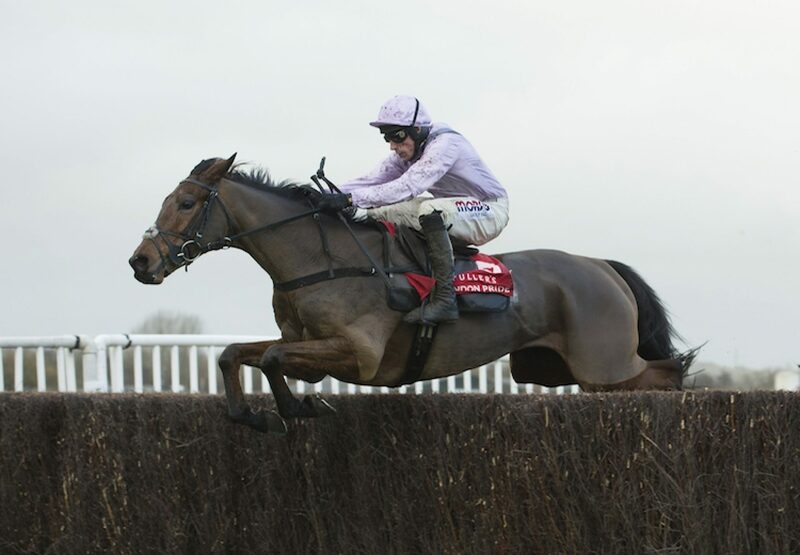 He will get entered in the RSA Chase but at the moment the JLT Novices’ Chase is looking like the race for him.” Harry Skelton added: "He means a lot to me because he's very good. He's better on this softer ground, but two and a half is his trip. He's not slow but he's only five, it's early to be going three miles."